Session Moderator Phill Jones kept his promise of providing an exciting, lightningpaced session. Each of the seven presenters was permitted to make a five-minute presentation which included a maximum of 20 slides and no second chances! Brian Bishop was unable to attend in person but provided a video presentation of the web-based citation suggestion service ForeCite (www.fore-cite.com). 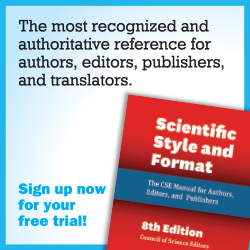 Users are able to upload their manuscripts to the ForeCite system, which compares the manuscript against the more than 13 million citations in the system. 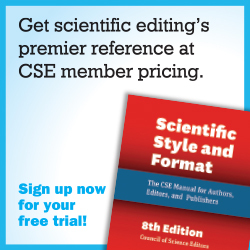 The results of the comparison suggest articles the user may wish to cite based on the content of their paper. Greg Tebbutt from Sparrho (www.sparrho.com) also provided a virtual presentation. “Founded in 2013 out of frustration by two Oxbridge scientists,”1 Sparrho is a recommendation engine for scientific information. The system aggregates all sources regularly checked by an end user, along with another 18,000+ sources daily. A semantic understanding of the user and his or her field is created and builds newsfeeds of the latest developments in these fields for the user. Users can create their own “channels” and can personalize their feeds based on relevance. Andrew Preston of Publons (publons.com) gave the first live presentation. Publons works with peer reviewers, editors, journals, and funding agencies to verify peer-review activity and allow cross-publisher recognition of reviewer services. Many reviewers attach their Publons information to their CVs in order to highlight their reviewing history for promotion or funding application. Currently, more than 37,000 reviewers are listed in the Publons database. 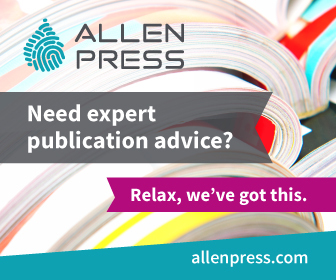 Reviews from any journal are eligible for inclusion, and Publons formally partners with many publishers, including Wiley, Sage, eLife, PeerJ, and the American Society for Microbiology. Peter Armstrong spoke about the philosophy of LeanPub (leanpub.com), which is to “publish lean” and publish books in progress (in e-book form) to obtain reader feedback. This system helps authors to redirect their efforts as necessary in revising the work, while also building traction with their audience, who receive notifications as revisions are made. Powered by the plaintext format Maruka, revisions can be made available within minutes after an author approves changes. John Hammersley of Overleaf (www.overleaf.com), a LaTeX-based collaborative writing and publishing system, was the next presenter. Overleaf allows for collaborative rich-text editing (through the use of a WYSIWYG manuscript editor); integrated, streamlined publishing (through the product’s integrated manuscript-submission systems); and both editorial and peer review in the cloud (through powerful change tracking, commenting, and project lifecycle management features). Kaveh (“Uncle Kaveh”) Bazargan of River Valley Technologies (rivervalleytechnologies.com) presented next. The company has developed an end-to-end publishing platform for STM. The system is composed of several standalone modules that work together and allow authors to create and submit valid XML files using the online platform. 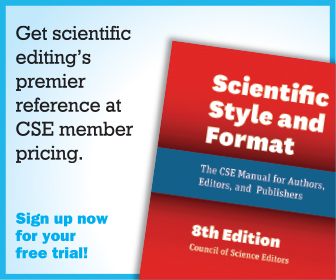 The publisher is then able to select the modules (e.g., peer review, copyediting, and proof correction) the paper will go through. 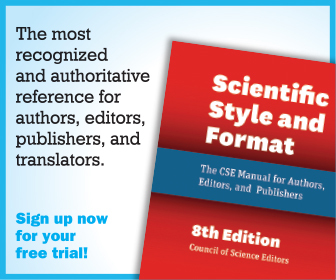 These tools help to reduce the time to publication by allowing files to be published within 24 hours of acceptance. Michal Duczmal from Annotate.co was the final presenter. Annotate.co provides secure PDF document collaboration and review on the web. Files of any type can be uploaded to the site, and the collaboration capabilities are available in a cloud-based model. The system allows for text overlay and eliminates the need for emailing different versions of a document and overloading inboxes, thereby providing better version control.